Another day, another XBLA game. This time I dive into Altered Beast. 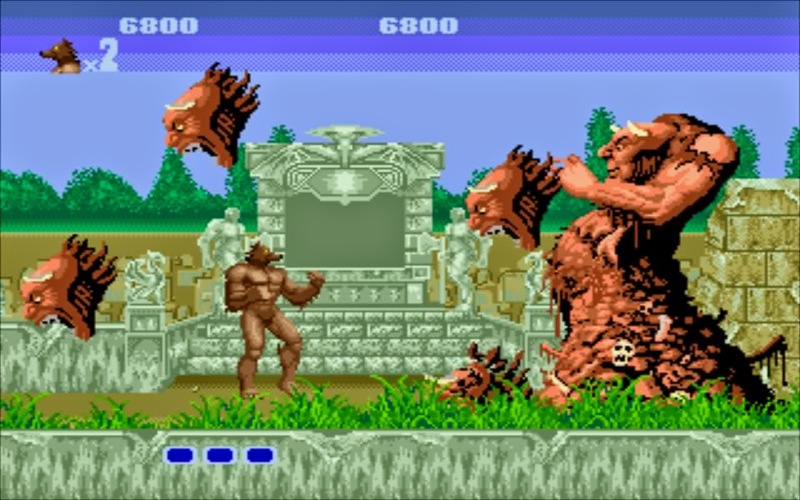 Altered Beast is a 1988 beat em up arcade game, that was later ported to other consoles including it being packed into the Sega Genesis (Which was later replaced with Sonic). You play the role of a Roman centurion who had died in battle, that gets resurrected by Zeus and sent on a quest to save Zeus's daughter Athena from a demon god called Neff. wolves, that when killed, contain power orbs that you can collect that transforms your character. The first 2 you collect just make your character stronger but the 3rd turn your character into a beast. Each level your character turn into a different beast. The game is relatively short, and contains only 5 levels. I'm starting to get into a trend of playing easy arcade games and this one is no different. The first thing you want to do is go into options, lower difficulty to lowest level, and set your health and continues to the max (I think its 4 continues and 5 health bars) then start up the game. Once started pause again and go back to options and turn on the turbo punch (or something like that, near bottom of the menu's). This will allow you to just hold the punch and kick buttons instead of having to tap repeatedly. The attacks on this game are terrible (IMO) you have a kick and punch that gets a little better with the orbs, but you still have to get in close to enemies to hit them which with the wolves usually means your losing some life bars. But once you unlock those transformations the games a breeze. The hardest achievement in this game requires you to get to level 3 without using a continue (IE. dying). But the good thing is, this game allows you to save state from the pause menu, at will. So save often and keep reloading till you get to level 3. Personally I saved after every few enemies I killed. Once you get to level 3, the achievement will pop and your free to play as you want. Everything else will unlock as part of the story progression. 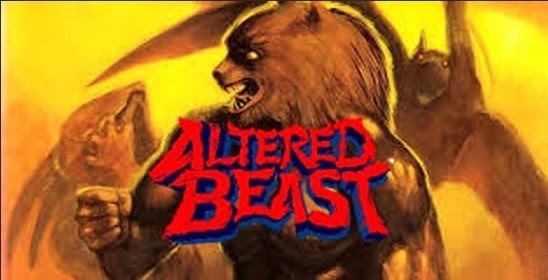 I never experienced Altered Beast in its past lives, even though I do own the genesis version. But I don't feel like I really missed much. Its a short enjoyable game with a neat transformation mechanic, but still feels like a forgettable experience.